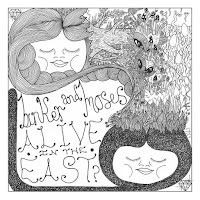 Saxophone player Binker Golding and drummer Moses Boyd have a new release on Gearbox records called Alive In The East. My first real contact with their music was when I reviewed their album Journey to The Mountain of Forever after seeing them on Jools Hollands’ BBC Later show. Shortly afterwards when I curated the London jazz Platform festival in London their management and I were discussing them playing. Logistics defeated us then but the interest was born. They have continued to not only continue on their jazz journey but develop different projects and are now one of the forefront duos of the new jazz movement which merges street music, high energy driven power with traditional jazz roots and free improvisation. Many stalwarts of the free jazz scene willingly play alongside these young guns, as the wheel spins full circle and a new breed of strong jazz musicians is coming into their own. Binker and Moses have collected a wealth of awards including the 2015 MOBO Award for Best Jazz Act, Jazz Fm 2016 awards for UK Jazz Act Of The Year and Breakthrough Of The Year and the Parliamentary jazz Award in 2016 for Jazz Newcomer Of The Year. Binker Golding graduated from Middlesex University and completed his master’s degree at the Guildhall School of Music and Drama. He has played with Jason Yarde, Denys Baptiste and Gilad Atzmon among many. Moses Boyd was the 2014 Worshipful Company of Music’s Young Jazz Musician of the Year and won the John Peel Play More Jazz Award at the 2016 Gilles Peterson Worldwide Awards. He has played alongside Ed Motta, Denys Baptiste and Gilles Peterson and leads his own outfits The Exodus (which includes Binker) and Solo Exodus, which infuses jazz, grime, and electronica. He runs Exodus Records label. Their debut album Dem Ones featured just the duo. On their second CD, Journey To The Mountain Of Forever (Gearbox), they added guests including legendary UK free form saxophone player Evan Parker, trumpeter Byron Wallen, harpist Tori Handsley and drummer Yussef Dayes. On Alive in the East all these are back again. The CD was recorded live at the Total Refreshment Centre in Hackney. 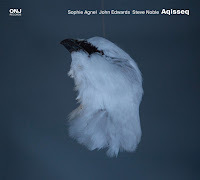 The title reflects the East London stronghold of UK jazz. Total Refreshment Centre offers varied spaces for music, recording and other arts projects and has been a valued community-based asset since 2012. ‘Birth of Light’ opens the album and announces in no uncertain terms the energy and fervour of the music on this CD. It is a dialogue between Moses Boyd on drums and Yussef Dayes on drums and percussion and features rapid exchanges with a backwards and forwards motion of each passing the rhythms over and back, including a beautiful fast-delivered tok-tok section, interspersed with Yussef’s inimitable percussive interjections. This is a great piece to open with and it sets up the forward moving direction for the rest of the CD. Just over 3 and a half minutes passes in a flash. ‘How Land Learned To Be Still’ is wonderful, the sax creating colourful music over the percussive and rhythm change laden drums. A mesmeric beat drives this onwards with the percussion and saxes vying for dominance yet never over riding each other. This is great interaction and improvised music rarely sounded so good. ‘The River’s Tale’ is another track which encapsulates the energy and ferocity of this music. The trumpet of Byron Wallen is relentless in its dominance, idiosyncratic in delivery and the speed at which the lines are delivered is both scary and extremely listenable as each note is also somehow crystal clear. The support from the rest of the musicians is beautiful with the rolling rhythm of the drums accentuating the walking motion. Until that is, the final minute when everyone fades away and we are left with fast travelling saxophone over percussion which gradually fades out to end the track. Spontaneous as it feels, this is a contrasting and delightful ending. ‘How Fire Was Made’ features sax playing virtually free, dictating the tempo, under which the percussion comes in to emphasise and support, again showing how this group of musicians pick up and tune into each other’s mood and delivery. The drumming is manic; furious and kinetically challenging to keep up with, the two drummers tracking each other just a half beat apart at times, giving the effect of more than two players here, the rhythms vying with the energetic full throttle sax. Relentless on the ears, yet somehow utterly satisfying. A great track. 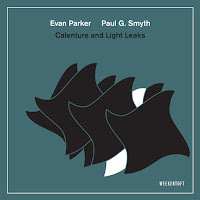 ‘How Air Learned To Move’ is just over a minute and a half of Evan Parker doing what he does best; freely improvising and clearly mesmerising the young audience and fellow band members. Complete enjoyment, total indulgence, there is nothing more to be said but wonderful. Evan simply showing how he learned to move air. ‘Children of The Ultra Blacks’ is a great track. Over 7 minutes of indulgence. Yussef delivers a wonderful drum section with harp to begin and then the track just builds and grows, a reggae infused beat developing one moment, merging into calypso and then dismantling itself seemingly at will to develop into an off-beat rhythm over which the bop style of the sax (and it is) emerges. The rhythms and echoing of the trumpet, harp and sax get inside your head on this track and the whole unity of it is really beguiling. ‘Mishkaku’s Tale’ has beautiful, whimsical sax over a variety of percussion and drumming riffs and trinklets. The sax works its way to become an exploration of various playing methods, from scale ascensions to strong modal and bop influenced deliveries. 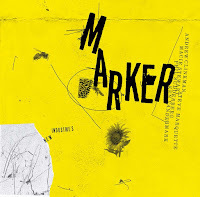 Binker demonstrates here perhaps why he is one of the most sought after new guns on saxophone, yet there are plenty of references to players he has clearly studied and listened to – Coltrane, Brotzmann, Coleman and, I might add, Mr Evan Parker. The harp section on this track is beautiful too and takes over from the sax, underpinned by the occasional drum thud initially but then the music develops around the harp until the final flourish involves all the musicians. ‘The Discovery of Human Flesh’ is a spiritualistic track, explorative and interesting because you can hear the very different sax lines, trumpet initially in the background, feeling its way and the drums and percussion varying in intensity, providing a veering to and away from the noise walls. 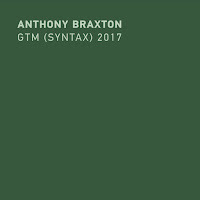 Soon a more rhythmic section is developed with the drums and lead sax creating an almost Caribbean feel around which the rest improvise in their own way until the drums forcefully emphasise a ¾, rest heavy beat and the trumpet emerges as the dominant sound. 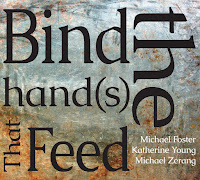 Reading each other and feeding but the track suddenly ends, clipped off just as it develops which is a shame. ‘Beyond The Edge’ begins with a distinctive sultry feel and the slow grooves set up by the drums and percussion for the first minutes of the track before the rest of the musicians enter around the 2 minutes thirty mark and then it takes off, away and out of the restrictive zones of any kind of genres boxes, this is simply the musicians present listening, feeding and feeling when and where to enter, still and play. The ending is just beautiful. A very engaging listen. ‘The Death of Light’ ends the CD and the harp entry is beautiful, atmospheric and sensual. Then sax enters, gently, sensitive to the aura created before the trumpet too enters, equally sensitive to the atmosphere, the energy level for once below frantic. The musicians create a delicately balanced, sax-led but equally supported by everyone, esoteric musical picture of light. Exquisite. Binker and Moses and captured something special here, a moment when good free thinking and playing music makers came together in a creative place and made excellent music. 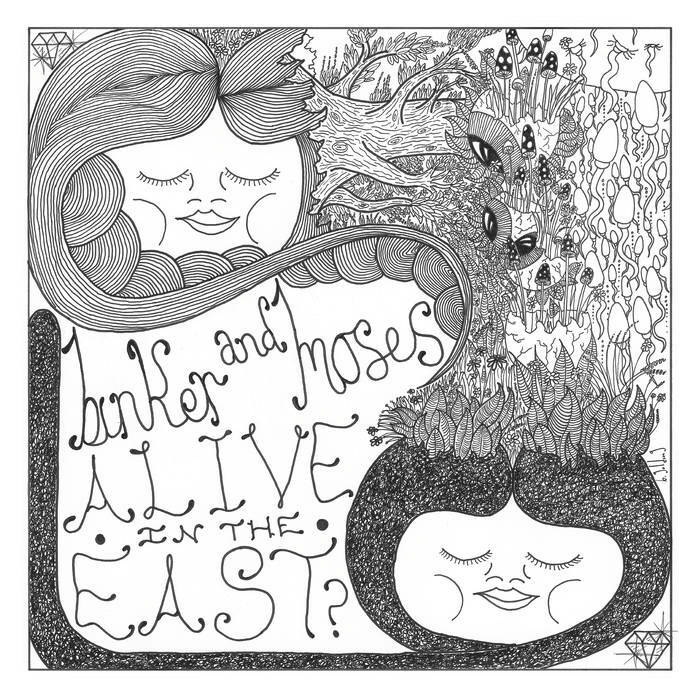 Binker and Moses play well and the direction of this recording is different than that of their previous releases, yet with enough references to mark it clearly as their own. The sax particularly shows its well-trained background but this has changed since early days with less imitation and more individuality coming to the playing, helped in no small part I don’t doubt by being around players like Evan Parker who have rarely, if ever (and we are so grateful for this), shown any signs of conformity. This is a great CD. The music is wired, powerful, accessible, energetic yet so strongly linked to many jazz playing styles, it creates the perfect seamless merging of past and present. A great musician once told me that young people tend to want to see young people playing. Jazz recently has lost some of the young people because there were few young people playing jazz. In the 1960s and 1970s if you were found playing jazz at one of the music colleges, you might even incur a short-term ban. Now, things are different. Here are young people playing, watched by other young people – and this, is jazz! Binker and Moses are part of the change in jazz which is happening. Though centred around London, the change and energy is spreading like wildfire – and it is a good thing. The first sparks were felt a few years back when young faces began to replace the bearded jazzers at venues and gigs began to be filled, first with a few, then with hordes of younger people. In January 2017 I covered a gig for BBC Jazz on 3 and though the free form band were in their 60s and 70s, over half the audience were young people and were more than willing to give interviews for the radio. They told me they loved the music – this movement has grown with musicians like Kamasi Washington, Binker and Moses, Moon Hooch and many more bringing jazz infused pop, hip-hop, street and blazing music trails, blending jazz into genres seamlessly and with an energy level set at high level by default but as they develop they are also introducing different styles and references into the music. Who can forget Leo Pelligrino taking Mingus’ Moanin’ to a new level at The BBC Proms? Many older players support these new musicians and play with them, actively encouraging the new guard to take over from the old or to merge styles and play alongside – generations melting away- but with an infusion of energy not seen for a long time. When Binker and Moses first began to make waves, they were a dynamic drum and sax duo. They made an album, it did well, they added guests and played with more and more people. They continue to head the new fusion/jazz/street/high energy movement which is part- just part - of the new renewed interest in jazz music, not only the high energy music of which the pair are one of the key promoters but also deeper, developed jazz, where genres blend and mix effortlessly. Binker and Moses and bands like them, afforded respect by those who went before and also those coming behind are vital in the re-emergence of jazz in the UK. To go with the release there are 500 limited edition clear vinyl copies available for fans via the Gearbox store and Bandcamp pages. Bands such as Moon Hooch, Binker and Moses, musicians like Leo Pelligrino, Kamazi Washington – they are all merging seamlessly the music of the streets with the music of the people – jazz , and it is proving a winning formula, though if you are looking for smooth relaxing music you need to be searching elsewhere. This music is wired, powerful and energetic yet the standard classical jazz roots still emerge.